Serving others to the height of risking your own life for them is one great sacrifice one can ever imagine. This is the type of sacrifice and degree of service provided by our military personnel whether in active duty, reserve or in the national guards. One cannot under estimate the need for military services. There is apparently an increase in the need of military services due to increase in global conflict. Large deployment is being done each day to places where there are crises in order to protect civilians and restore peace. As a result of this, military personnel are being assigned to locations away from their families. This brings about separation of families for a lengthy period of time leading to a feeling of isolation, anxiousness, unsupported and stress on the family. In addition, some families’ members also deal with loss of their love ones or disability of their loved ones. 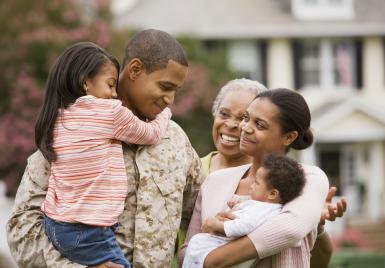 These reasons justify the need for the provision of resources for military families. In this paper, I will discuss some resources available for military families and how they facilitate my family nursing practice. There are numerous resources available for military families. These resources are established based on the fact that individuals, communities and government recognize the great sacrifice and challenges that military families encounter due to the mandate our country has imposed upon them to protect our beloved country. The give an hour nonprofit organization and operation second chance are two organizations among others that are located in my community (Baltimore metropolitan area) that provide support for military families. The give an hour nonprofit organization established in September 2005 by Dr. Barbara Van Dahlen, a psychologist in the Washington, D.C., is a national nonprofit organization that focuses on mental health issues targeted at veterans, active duty military service members and their families. Their mission is to develop a sustainable national network of volunteers capable of responding to both acute and chronic conditions that arise in our society. They are dedicated to providing free mental health care to veterans, active duty service members, those returning from war and their loved ones. They have given approximately one hundred thousand hours of care with over seven thousand volunteers of mental health care providers who provide a network of national mental health care in every state and territory. When military personnel return from war, they are often faced with challenges, they face PTSD, anxiety, depression and struggle with family relationship. The free mental service enables military personnel and their families to seek mental health by locating providers in their community when they need it, how they need it and as long as they need it at no cost while providers are doing their work to heal. As a mental health nurse, this organization absolutely supports my practice in providing family health care nursing. This is because military personnel and their families can seek help by meeting providers that are near them at no cost. When diagnosis and treatment is established early, it yields a better outcome; hence it gives me the opportunity to care for patients and family in a stable state/condition. In this case, my nursing intervention for the family will be more of a follow up with medication compliance and evaluating outcome. Operation second chance is another resource for military families established in September 2004 by Cindy McGrew located in Clarksburg, MD. They are committed to serving our wounded, injured and ill combat veterans. They support Veterans and their families while they recover in military hospitals, by building relationships and identifying and supporting immediate needs and interests. Their services include counselling, hospital visit, day trip, etc. Operation Second Chance also helps to maintain resources that help assist veterans and their families with their numerous health, employment and financial needs. They are dedicated to promoting public awareness of the many sacrifices made by our Armed Forces. As a nurse, I discovered that this organization supports my family nursing practice because of their mission and services that they provide. Support for veterans and families can never be too much. They need as much support as they can get especially while recovering from traumatic situations while in the hospital because this often known as a difficult time for families. This support provided by this organization will help facilitate my care. Support can help reduce stress which will enable the families to embrace my nursing intervention because noncompliance to treatment can be linked to stress and lack of support. Conclusively, military families absolutely need support, if not for anything as a way of appreciating them for the great sacrifice. Supporting our nation’s troops, veterans, and military families is critical to our national security. Meaningful resources available to our veterans and military families will help strengthen our communities. Military personnel are valuable assets and there will be improved volunteerism and service that will benefit all Americans if we support our military personnel and their families. The goal of these support organizations,most especially is targeted at promoting the military personnel and their family’s health which in turn promotes my family nursing practice as my goal as a family health nurse appears to be the same with the resources goals. Therefore, while the support organizations are working with military families to achieve their goal, they are indirectly supporting my family nursing practice to achieve my own goal as we share the same goals. Ecommerce & Responsive Website Development! Creation of websites for business - the company WebiProg offers you bespoke web development and web design of online stores based on CMS OpenCart or other platforms. You will get: custom desing, speed ptimization, security patches, catalog, multilingual, multisite, connection to different payment and delivery systems, etc.